Are You Experiencing Tooth Ache? Looking for Family Dental for all ages? 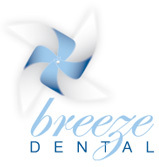 At Breeze Dental on the Gold Coast we strive to provide gentle dental care for all ages. We are proud to have built long term relationships with clients in Helensvale, and surrounding area families over the last 10 years. Located just off the M1 Highway in Helensvale in Sir John Overall Drive, our clinic is easily accessible. Our experienced and dedicated team are here to ensure our patients maintain healthy white teeth and healthy gums for life. By regularly checking on the health of your teeth, we can treat Dental Hygiene issues long before they become more serious and more expensive to treat. We are here to keep your teeth and gums healthy and to educate you on how to continue to look after your dental health between visits. We provide dental checkups for all ages. Do you have a question? Contact us today to make a booking. For more information on how we can help you achieve a healthy smile that looks great, please do not hesitate to contact the professional and experienced Gold Coast Dentistry team here at Breeze Dental. We can’t wait to see you soon!